A review code for The Sims 4 Cats &amp; Dogs was provided by EA. The highly anticipated fourth expansion for The Sims 4 is finally here. Cats & Dogs lets Simmers add, well, cats and dogs, to their households, and includes the new veterinary clinic. Unlike previous similar pet-themed expansions, this one focuses only on cats and dogs (as the name suggests). 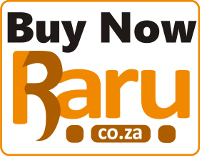 So is it worth the R600 (US$40) price tag? The new Create-A-Pet lets you add a furry friend to your family. It’s fairly similar to what you could do in The Sims 3 Pets, with a huge number of premade real-world cat and dog breeds available to choose from – and many of these include several coat patterns and colours. There’s also a breed mixer, which lets you combine and randomise two breeds into something new. If you’re feeling a bit more creative, there’s a paint mode where you can select from dozens of brushes, patterns and stamps, in any colour you like, and paint them onto your pet’s fur in any way you like. Talented Simmers have already created cats or dogs inspired by other animals, like the tiger in my screenshots. There’s a lot of variety here, and endless possibilities for custom creations. And don’t forget the cuteness factor! You may have noticed the fox and raccoon shown in the marketing materials and my pictures. These are just premade ‘breeds’ of dogs and cats respectively, though they do have special ‘voices’ that sound a lot like the real thing. Normal cats and dogs have a variety of voices, just like Sims. Pets have traits that influence their behaviour or how often they need to be brushed, for instance. Active dogs will want to go for walks more often, gluttons spend a lot of time eating, and you can have intellectual discussions with smart dogs. Prowler cats may run off on their own, while couch potatoes will lie around a lot. I mean, who doesn’t want to give their little doggie a shark fin or dress their cat up as a sushi roll? Last but certainly not least, pets can wear collars as well as special pet outfits. I mean, who doesn’t want to give their little doggie a shark fin or dress their cat up as a sushi roll? Best of all, pets don’t seem to mind being dressed up, and they can have multiple ‘outfits’ so they’re not always in costume. As you’d expect with a Sims expansion pack, Create-A-Sim includes tons of new items for human Sims. 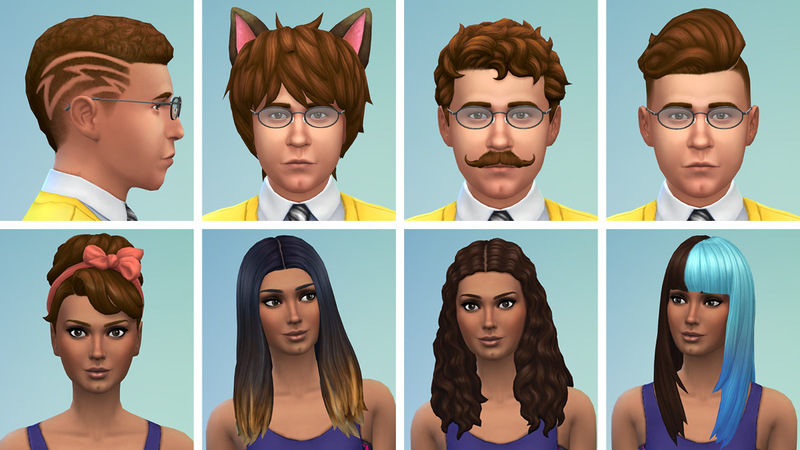 There are a good number of hairstyles for both male and female Sims, including cat ears, some two-tone hair and various shaved patterns. Best of all, for me as a curly-haired person, are the new curly hairstyles. They look really great and fill a gap in the available hairstyles in The Sims 4. There’s a nice range of new clothing available, mostly comfy, casual looking stuff. There’s a lot for adult female Sims, though there is a fair amount of stuff for male adults, and a couple of things for child and toddler Sims. 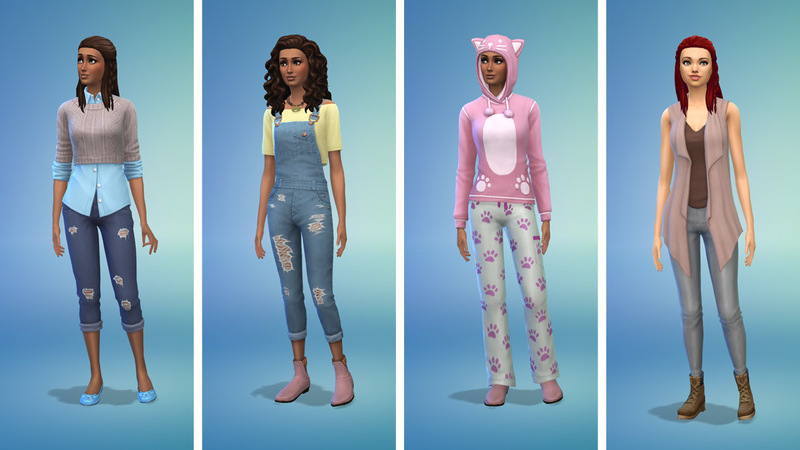 There’s also a new pet-related aspiration, and new traits: dog lover and cat lover. A new expansion usually means a new town, and Cats & Dogs is no exception. Explore the seaside town of Brindleton Bay, complete with lighthouse. 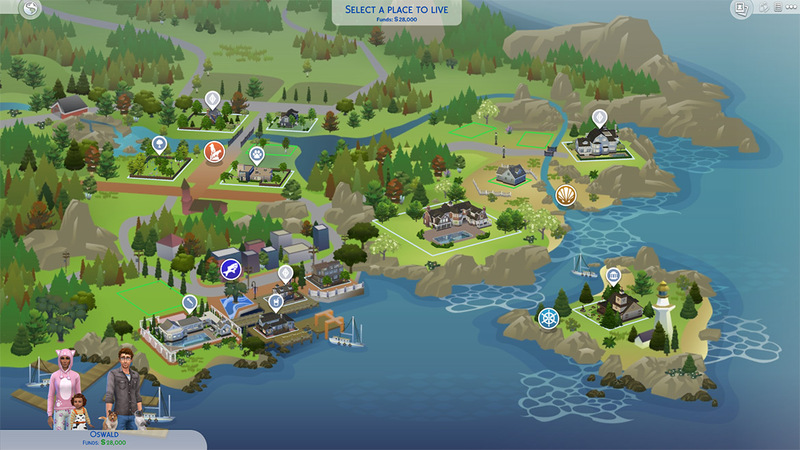 It has several districts like San Myshuno, each with a slightly different theme and feel. There are several new prebuilt homes to move into, including a couple of large 64×64 lots. Community lots include a dog park, a vet clinic, and a bar where cats like to hang out. The town has plenty of places to walk your dogs, play fetch, or have them hunt down feathers and other goodies. There are even special catnip herbs waiting to be found. There are over 300 new objects in Cats & Dogs, from essential pet-related objects, such as pet toys, scratching posts, beds, food bowls and litter boxes, to new windows and doors, to new furniture in some cool new styles, including beds with quilted bedspreads. There are no objects with small pets like birds or hamsters – hence why this expansion was called Cats & Dogs rather than ‘Pets’. Still, there’s plenty of new stuff to decorate your Sims’ homes with. There are also numerous objects related to the vet clinic, such as exam tables and surgery machines. My favourite new object is the robot vacuum, a small round automated cleaning machine that helps with the many new messes that come along with owning pets. Plus, your cats can ride around on them if they’re too lazy to walk! 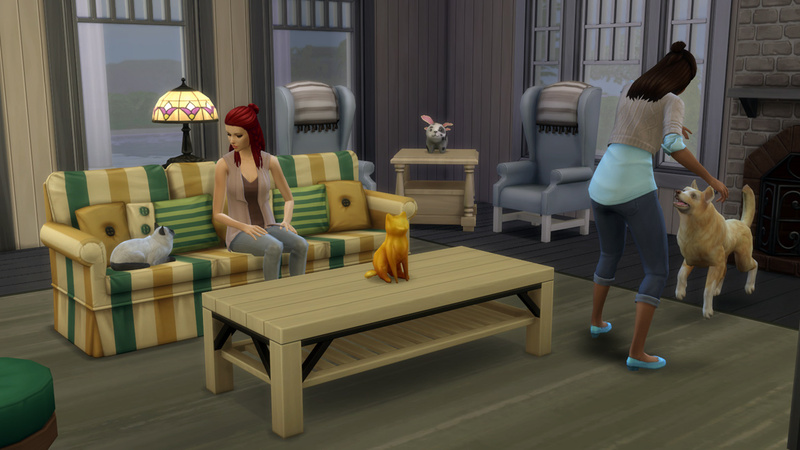 Pets in The Sims 4 have traits, as well as quirks and fears, which affect their behaviour. They also have needs and emotions like their human counterparts. However, unlike human Sims, pets can’t be controlled in The Sims 4. This is a somewhat divisive feature among the Simmer community, as there are plenty of players who enjoyed the Sims 3 style of being able to directly able control pets. I’m perfectly happy to not be able to control them, and there’s already a mod available if you do want to directly control your cats and dogs. What I don’t like is the fact that you can’t select pets at all. Clicking on their portraits simply moves the camera to the pet. There’s also a whistle that summons the pet to your active Sim – usually – but beyond that, players can’t view a pet’s breed, traits, quirks, fears, friends, needs, or even their age! Their portrait background changes to red or orange when they’re unhappy, but beyond that, you need to watch your pet to see what they’re thinking. Sometimes their behaviour or thought bubbles will give you a clue, or your Sim can ask them what’s wrong. Several times my pet was hungry or tired and I had no idea. I’d love to be able to click on my pets and at least see basic information about them. Living with cats and dogs is pretty similar to previous iterations of pet-themed Sims expansion packs. Cats will jump on or scratch furniture if left unsupervised. Living with cats and dogs is pretty similar to previous iterations of pet-themed Sims expansion packs. Cats will jump on or scratch furniture if left unsupervised (a few scoldings should help curb this behaviour), and may bring their owners ‘gifts’ of feathers (much better than tiny animal corpses!). More adventurous cats may get into fights with squirrels or other creatures. Dogs can be taken on walks and trained to perform basic tricks like sit, heel, or play dead. This is linked to a Sim’s pet training skill level, which allows your Sim to teach dogs more tricks, and to command them to investigate clumps of seaweed and other diggable patches. There are even obstacle course objects to test your dogs’ skills. Pets can also get dirty and dogs will need to be bathed. Both cats and dogs can make a fair amount of mess, resulting in hairballs, puddles and more popping up around your house. 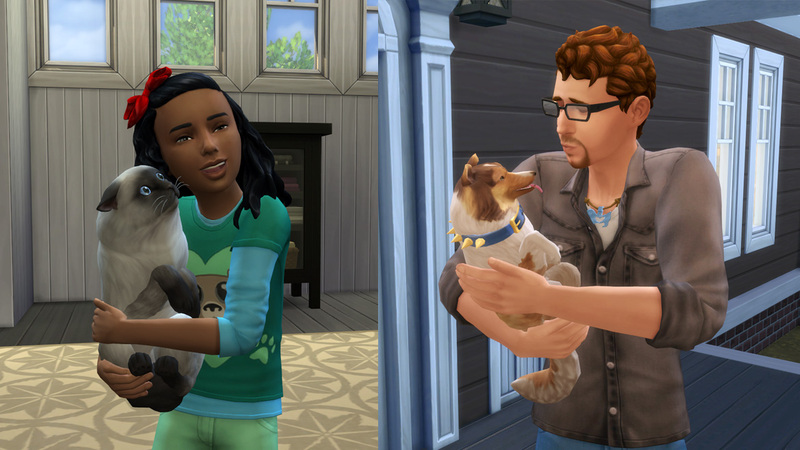 Unneutered pets can also have puppies and kittens to bring even more cuteness and chaos to your Sims’ home. 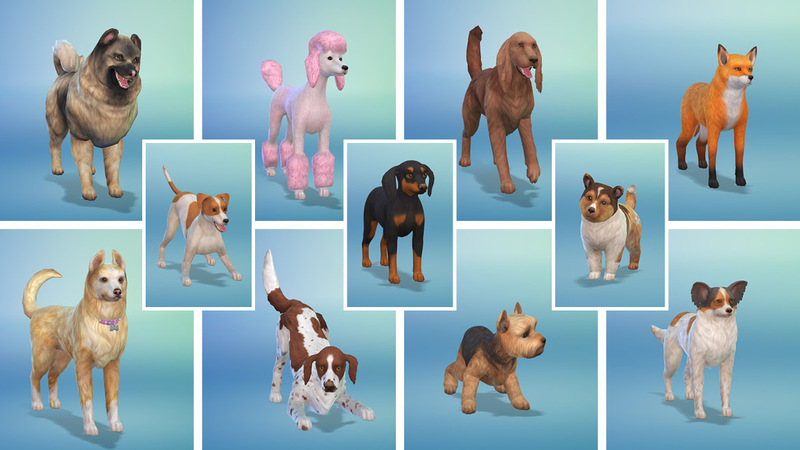 Like dogs in previous Sims games, dogs in The Sims 4 come in large and small varieties. The large size is pretty average dog size, so breeds that are supposed to be huge will merely be ‘normal’ sized, though you can bulk them out with body shapes and coat types. Small dogs are also all one size: really small… about the size of a cat. This means that medium-sized dogs don’t really exist, and as a dog lover, this is kinda weird for me. It’s not really a new thing in The Sims, but I do wish there was a bit more variety in dog sizes for a bit more realism. Pets don’t seem to gain weight either, which makes traits like glutton and couch potato a bit odd. Dogs and cats can get sick, just like human Sims (if you have Get to Work). These illnesses are not life-threatening, but they do show some interesting visual effects and will make your pets unhappy. Fortunately, there’s a vet clinic in Brindleton Bay where you can take your little darlings for treatment, neutering, or just a check-up. Your Sims can also purchase or build a vet clinic and run it themselves, much like businesses in Get to Work or restaurants in Dine Out. 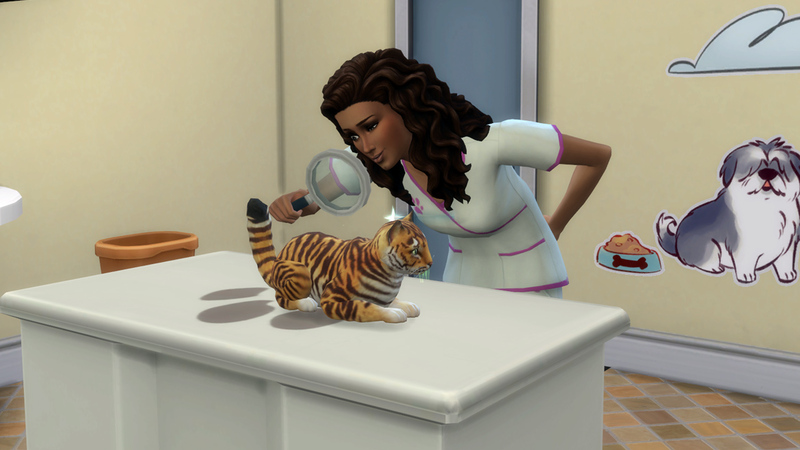 You don’t even have to hire employees – your Sim can become a vet and start treating patients, no skill or experience required! Examining a pet works very similarly to the doctor examinations in Get to Work. You just have to go through a few options like check ears/heartbeat/fur/etc. to eventually arrive at a diagnosis and prescribe a treatment. It’s fairly straightforward, making running a vet clinic quite a bit easier than the other types of businesses. If, however, you want the clinic to run while you’re not there, you’ll need to hire and monitor employees. Treating patients will help you unlock various perks to upgrade your business, and happy customers will slowly raise your star level. Unfortunately, being a vet doesn’t count as a job, so your Sim will still count as unemployed no matter how successful their clinic is. So, is The Sims 4 Cats & Dogs worth getting? Like other Sims packs, it really depends on how you enjoy playing the game. If you loved the pets expansions from previous Sims games, you’ll very likely love this, even if you can’t control the pets (without mods, that is). The pets in this pack are adorable, and their behaviour and interactions with Sims are pretty realistic. Create-A-Pet gives you the ability to recreate a real-life pet, or create any number of fantastical creatures (or download them from the Gallery!) The vet clinic, new town, and all the new outfits, hairstyles and build objects are just icing on the cake for pet lovers. If, however, the idea of having cats or dogs in the game does not excite you, or if you’re bored with the core gameplay of The Sims 4, this expansion is probably not going to change your mind. Thank you to EA for providing us with a review code for The Sims 4 Cats & Dogs. If your Sims have been longing for a feline or canine companion, their wish has finally been granted! Create just about any existing dog or cat breed, or create your very own unique breed. 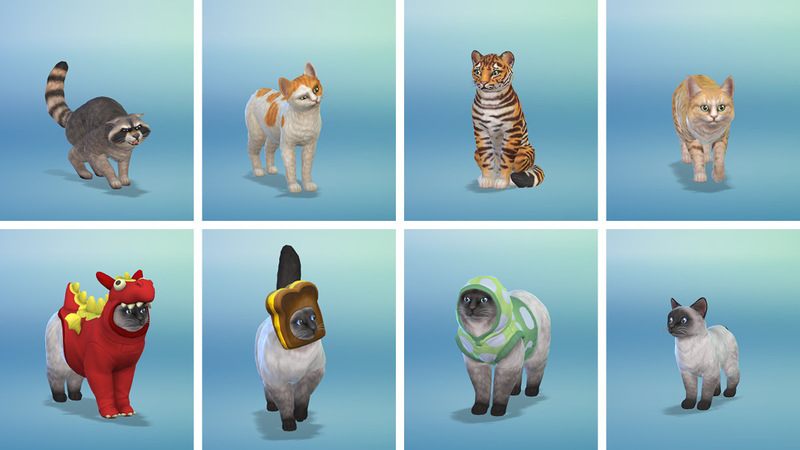 This expansion brings the most realistic cats and dogs ever in the Sims franchise and should make pet lovers happy.